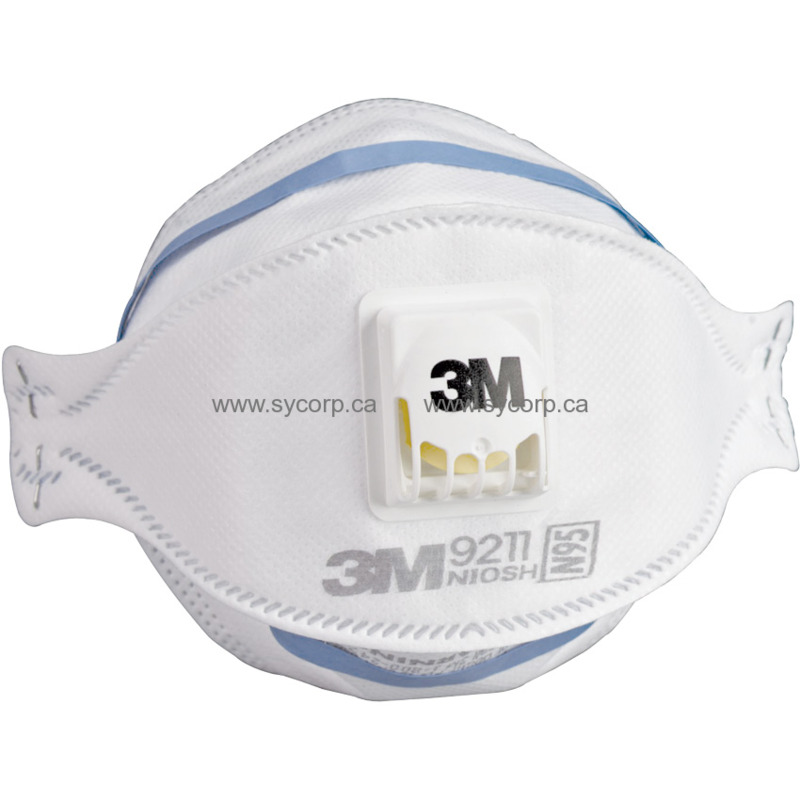 Three-panel, low-profile 3M 9211 N95 particulate respirator mask features soft cover web on inside panel and comfortable nose clip with the addition of the 3M Cool Flow Exhalation Valve for easy exhalation and cool, dry comfort. The unique flat-fold design provides an excellent fit on a wide range of facial sizes. 10 per box. Ideal for grinding, sanding, sweeping, bagging and other hot and humid dusty conditions.